Use these examples to improve your sight reading. 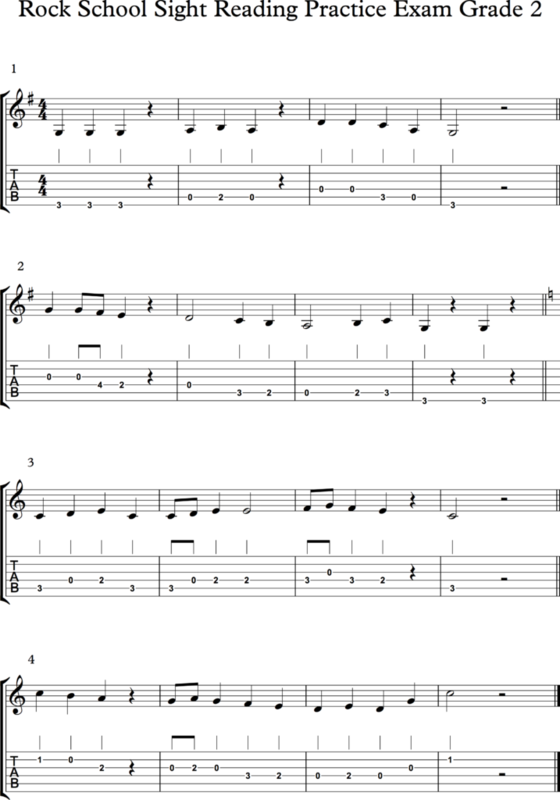 Remember the always start by clapping the rhythm before attempting to play it on the guitar. Use a metronome at around 70 beats per minute to get the most out of the test.